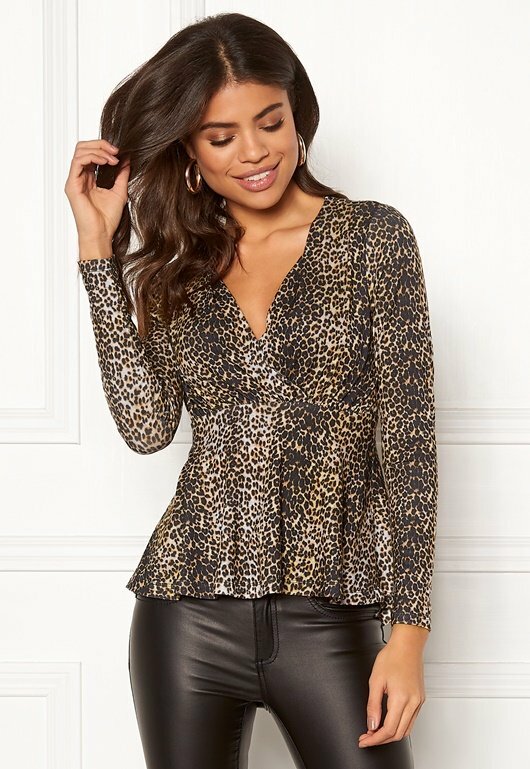 Flattering and feminine top with a beautiful print from HAPPY HOLLY. 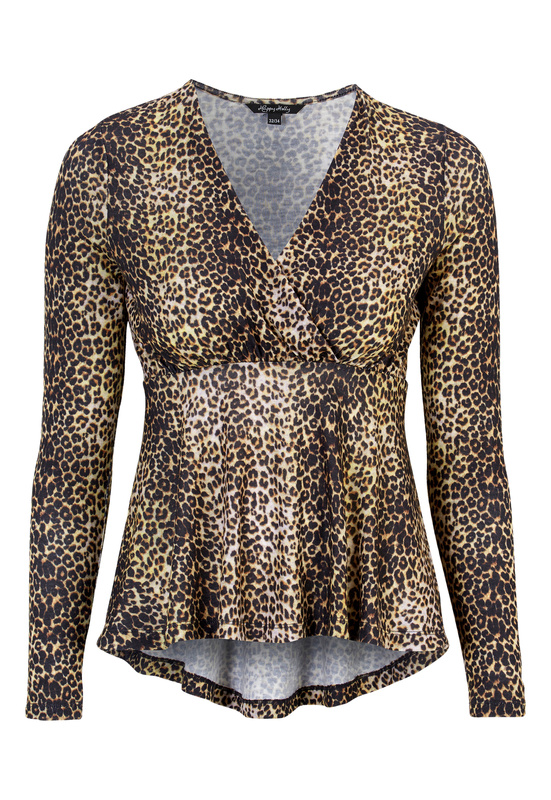 The top is made in a soft and stretchy tricot that falls beautifully. - V-neck with a wrap-around detail at the front. - Draped under the bust. - Flared at the bottom. Front length from shoulder 59 cm, back length from shoulder 63 cm, in size 36/38.